Sunny’s Goal starting her fitness program at FIT: My goal was to be stronger and push myself harder. Sonny’s Results: I have definitely gotten much stronger! I like that Kevin keeps pushing me a little harder each time, getting me to do things I never thought I could. Q. What obstacles, if any, did you have to over come to maintain your commitment to fitness? Disc degeneration and stenosis in my back and neck keep me motivated to keep a strong core, and Kevin reminds me to maintain good form so I don’t get injured. Q. What would you consider the keys to your fitness success? It’s all about personal success – always improving on my own time/weight/reps/strength. I like to train with Barb because she motivates me to work harder, but I don’t see any point in comparing myself to her. Q. Do you have any Personal Best? I have no idea about my personal bests – I just do whatever Kevin tells me to do. Every once in awhile I’ll give him “the look” (which he always calls me on!) when I don’t want to do something, but for the most part, I just do it! Q. What is your favorite non-gym physical activity? I like to hike/walk – my husband and I have participated in the Breast Cancer 3-Day Walk 8 times. I also like to ride my bike. From Sunny: I’m excited that my 15-year-old son Kyle started at FIT at the beginning of the year with Frank, and he loves it! He went from a complete couch potato to loving being fit and working out hard – and I’m so proud of him! From Kevin: Since joining FIT, Sunny has displayed nothing but a great attitude and work ethic. She always works hard, regardless of whether she “likes” the exercise or not, and inevitable ends up with a smile on her face. 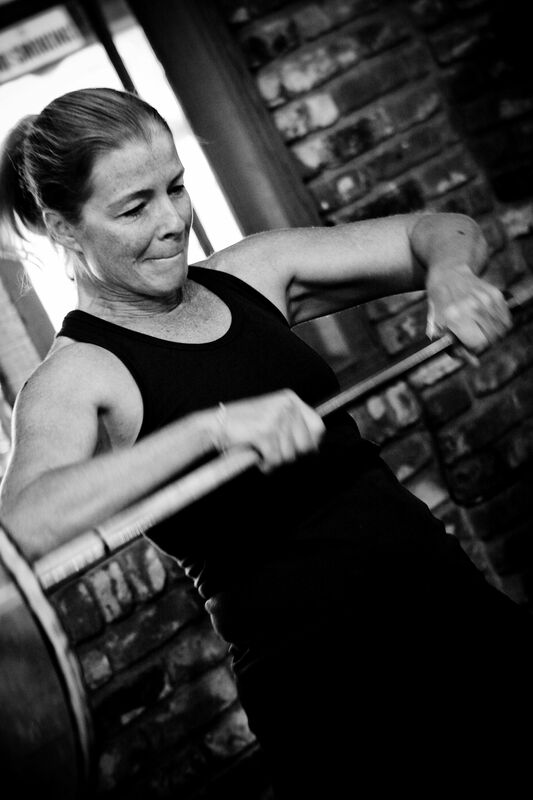 Her hard work has made her stronger in all aspects of fitness. She has participated in fight gone bad, did a sprint triathlon, and the 3-day walk covering 60 miles, without any problems.